You probably know from experience that there is not as much information on small-cap companies as there is on large companies. Of course, this makes it really hard and difficult for individual investors to make proper and accurate analysis of certain small-cap companies. However, well-known and successful hedge fund investors like Carl Icahn and George Soros hold the necessary resources and abilities to conduct an extensive stock analysis on small-cap stocks, which enable them to make millions of dollars by identifying potential winners within the small-cap galaxy of stocks. This represents the main reason why Insider Monkey takes notice of the hedge fund activity in these overlooked stocks. In this article, we’ll look at the hedge fund sentiment towards large-cap pharmaceutical company Sanofi (NYSE:SNY). Sanofi was held in the 13F portfolios of 24 of the hedge funds tracked by Insider Monkey as of the end of the third quarter, 25% fewer than there were in the middle of 2016. Even Sanofi bull Fisher Investments wasn’t up to much with its holding during Q3, adding just 4,121 shares to it. 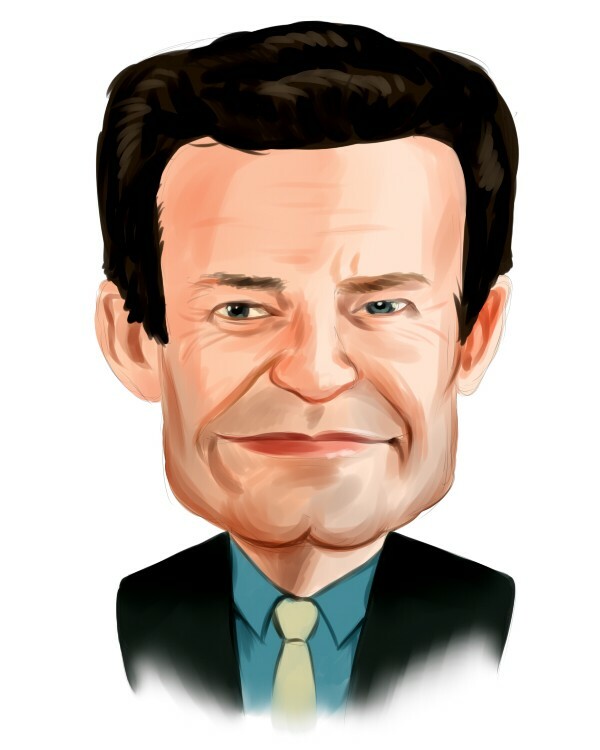 The investment firm has owned the stock since 2011, with it ranking highly on our list of 25 Dividend Stocks that Billionaire Ken Fisher is Bullish On. Sanofi’s dividend yield is currently 4.13%, one of the best figures in the pharmaceutical industry. What have hedge funds been doing with Sanofi (NYSE:SNY)? At the end of the third quarter, a total of 24 of the hedge funds tracked by Insider Monkey were long this stock, a change of 4% from one quarter earlier. 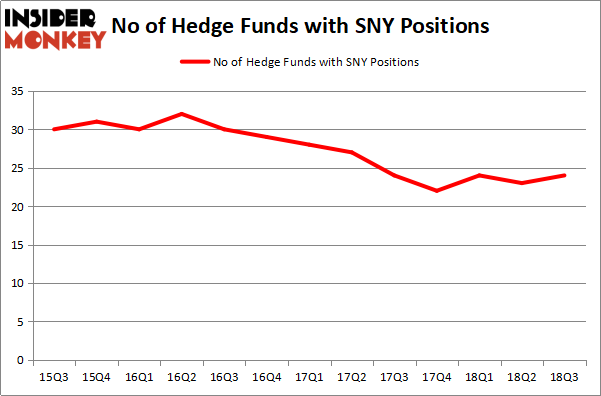 On the other hand, there were a total of 32 hedge funds with a bullish position in SNY in the middle of 2016. So, let’s check out which hedge funds were among the top holders of the stock and which hedge funds were making big moves. Of the funds tracked by Insider Monkey, Ken Fisher’s Fisher Asset Management has the most valuable position in Sanofi (NYSE:SNY), worth close to $698 million, comprising 0.8% of its total 13F portfolio. Coming in second is Balyasny Asset Management, managed by Dmitry Balyasny, which holds a $17.7 million call position; the fund has 0.1% of its 13F portfolio invested in the stock. Other peers that hold long positions contain Francis Chou’s Chou Associates Management, Kamran Moghtaderi’s Eversept Partners and Michael Castor’s Sio Capital. With general bullishness amongst the heavyweights, specific money managers have been driving this optimism. Millennium Management, managed by Israel Englander, created the biggest call position in Sanofi (NYSE:SNY). Millennium Management had $11.2 million invested in the company at the end of the quarter. Balyasny Asset Management also made an $8.2 million investment in the stock during the quarter. The following funds were also among the new SNY investors: Vishal Saluja and Pham Quang’s Endurant Capital Management and Michael Platt and William Reeves’ BlueCrest Capital Mgmt..
Let’s check out hedge fund activity in other stocks similar to Sanofi (NYSE:SNY). We will take a look at The Toronto-Dominion Bank (NYSE:TD), Accenture plc (NYSE:ACN), British American Tobacco p.l.c. (NYSEAMEX:BTI), and QUALCOMM Incorporated (NASDAQ:QCOM). This group of stocks’ market values are similar to SNY’s market value. As you can see these stocks had an average of 29 hedge funds with bullish positions and the average amount invested in these stocks was $1.44 billion. That figure was $822 million in SNY’s case. QUALCOMM Incorporated (NASDAQ:QCOM) is the most popular stock in this table. On the other hand British American Tobacco p.l.c. (NYSEAMEX:BTI) is the least popular one with only 15 bullish hedge fund positions. Sanofi (NYSE:SNY) is not the least popular stock in this group but hedge fund interest is still below average. This is a slightly negative signal and we’d rather spend our time researching stocks that hedge funds are piling on, like QCOM. Is Choice Hotels International, Inc. (NYSE:CHH) A Good Stock To Buy? Some Hedge Funds Are Crazy About Tesla, Inc. (TSLA) Is Yelp Inc. (NYSE:YELP) Going to Burn These Hedge Funds? Is Box, Inc. (NYSE:BOX) a Good Stock to Buy? Hedge Funds Are Betting On Etsy, Inc. (NASDAQ:ETSY) Is TripAdvisor, Inc. (NASDAQ:TRIP) A Good Stock To Buy?